Planning a visit to Sucre (Bolivia) and looking for a magnificent place to stay? 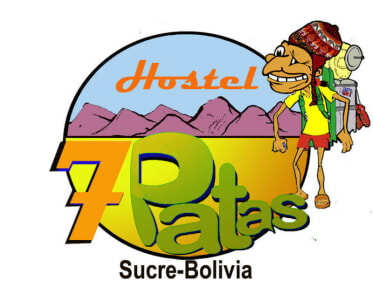 Our brand new hostel 7 Patas is THE PLACE to stay whilst in town. 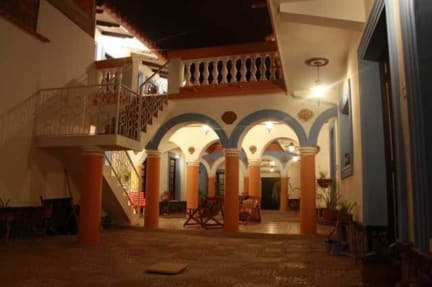 It is a very comfortable and spacious colonial house, located in the heart of Sucre’s beautiful old town, the most laid-back city in Bolivia. 7 Patas is centrally located; just one block from the Central Market and two blocks away from the main square (25 de Mayo), and its surrounding nightlife area. Our rooms are furnished with big comfy beds and each of our spacious bathrooms has hot gas heated showers, providing hot water all day long. 7 Patas boasts a large fully equipped guest kitchen, different common areas such as a big patio, barbecue facilities for those in the mood to socialize and a common room with cable tv and dvds. Wifi is free. Bed linen and towels are provided. Each member of our friendly English and Spanish speaking staff, will ensure a warm welcome for you to our hostel and will provide you with all the information you may need over the course of your stay.